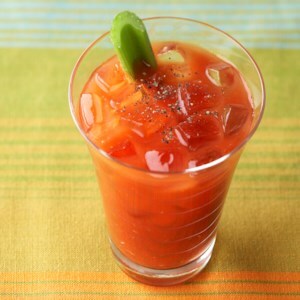 Find healthy, delicious low-carb drink recipes including low-carb shakes, smoothies and cocktails. Healthier recipes, from the food and nutrition experts at EatingWell. 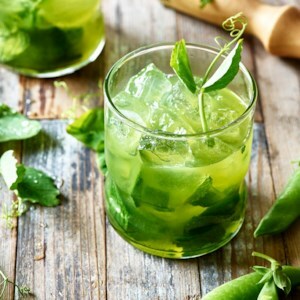 This play on the Derby Day favorite the mint julep uses the whole sugar snap pea plant: pea greens in the simple syrup and snap pea "juice," plus pea blossoms for garnish, if you're lucky enough to find them. 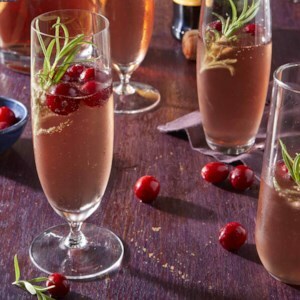 This beautiful beverage is perfect for serving at brunch, but it's also a great mocktail for non-drinkers at your next cocktail party. 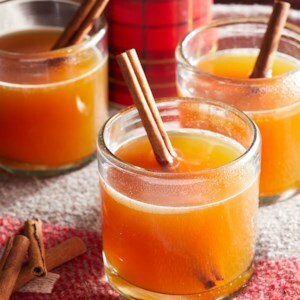 If you have leftover peach nectar from this recipe, pour a splash into hot tea to add sweetness and satisfying fruit flavor. Kumquats are bite-size citrus fruit that you can eat whole, including the skins and seeds. Find them in season November through March for a great sweet addition to your traditional margarita recipe. 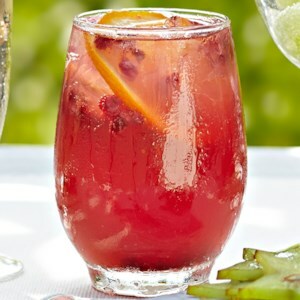 High in antioxidants and vitamin C, pomegranate juice is a great option when you're looking for a refreshing beverage. In this fruity, tropical-inspired thirst quencher, it's blended with fresh pineapple and mixed with a carbonated citrus drink. 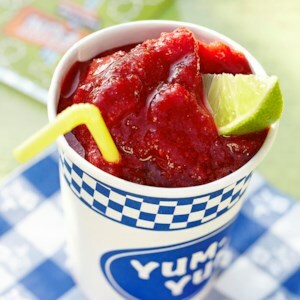 Ready in just 10 minutes, this spicy tomato juice drink is perfect for brunch or a summer party. 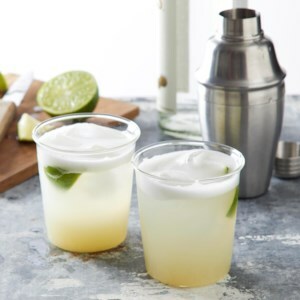 This "cocktail" looks just like its tequila-laced counterpart but is alcohol-free! With only 58 calories per drink it's perfect for dieters. 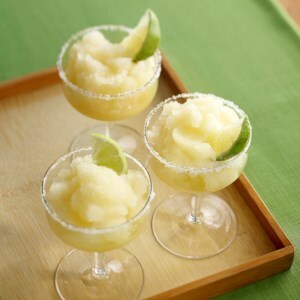 These limeade slushies are a great thirst quencher on a hot summer day. Delivering a perfect combination of sweet and tart, they take only 10 minutes to prepare. Not loving your green tea? This recipe may change your mind. 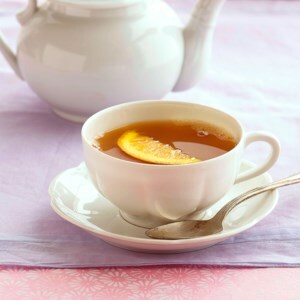 We start by boiling cranberries and mango slices with a bit of fresh ginger, and use that hot liquid to steep the tea bags. 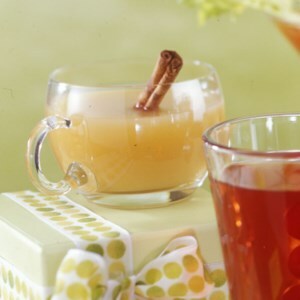 The fruity infusion and zing of ginger will definitely have you singing this tea's praises. Goji berries and hibiscus flowers are steeped in boiling water with agave and cinnamon stickes. 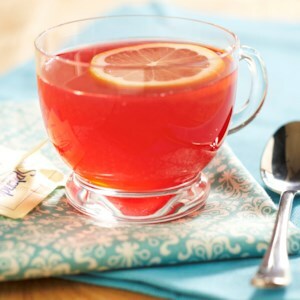 This flavorful tea is refreshing and can be enjoyed hot, but we suggest drinking it ice-cold. 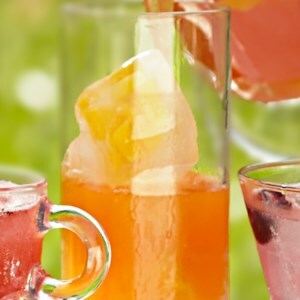 Quench your guests' thirst with this apple iced tea, which can be made with or without alcohol. 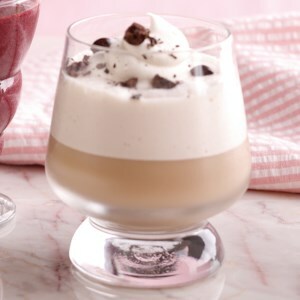 Easy to make and delicious, this refreshing, ice-cold coffee drink is perfect for a hot summer day. 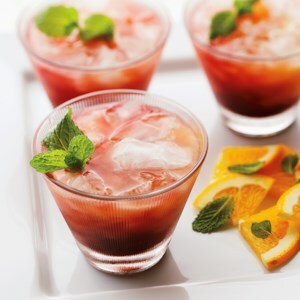 A madras is a cocktail mix of vodka and fruit juice. 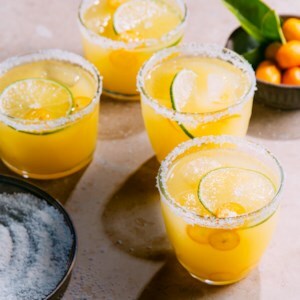 This version blends three different fruit juices with peach vodka, and is served over homemade ice cubes which are filled with finely chopped fresh mango. When buying mangos, give them a light squeeze. Look for fruits that give a little without being too squishy! 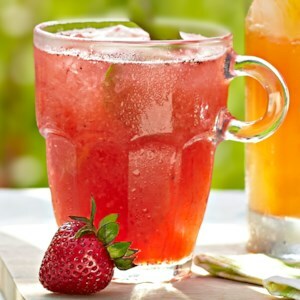 This non-alcoholic cocktail is a refreshing blend of fresh strawberries, ginger ale and lime juice drink. It gets added flavor and a bit of zing from basil and ginger slices. 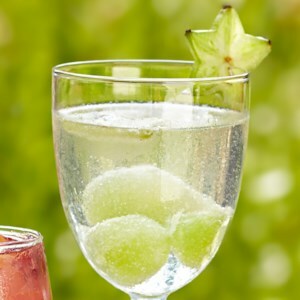 Frozen honeydew balls and thinly sliced starfruit are a perfect combination when mixed with sweet white wine, grape juice and club soda in this refreshing cocktail. 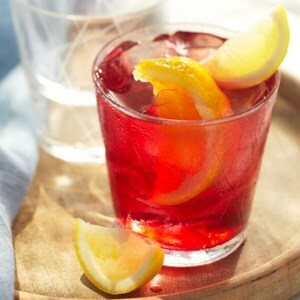 This refreshing cocktail is made with pomegranate vodka and citrus juices. 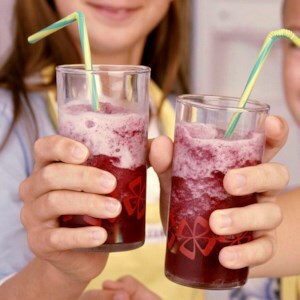 It's delightfully fruity and fizzy and has under 15 grams of carbohydrates per serving. 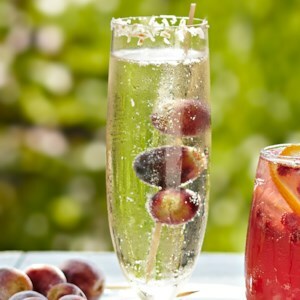 A Bellini cocktail is a mixture of sparkling wine and peach nectar. Give this version a try--the coconut and grape flavor is enhanced by toasted coconut on the rim of each glass!